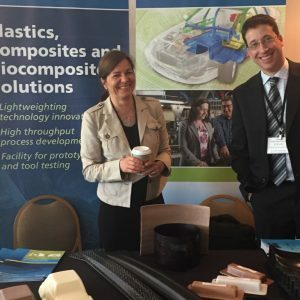 Industry leaders will convene to discuss challenges and explore new technologies for utilizing plastics in the transportation industry. September 21, 2018: abstracts due. 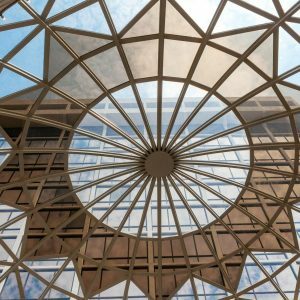 January 31, 2019: last day for discounted registration and to reserve hotel rooms at conference rate. 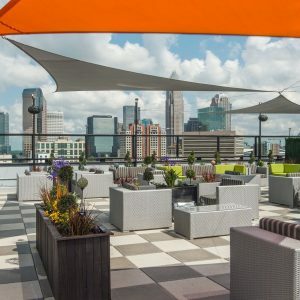 The conference will be held at the Sheraton Charlotte Hotel in Charlotte, North Carolina. 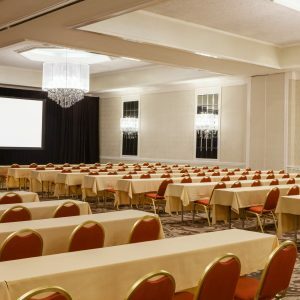 A block of rooms has been reserved at the special conference rate of $189/night. The Plastics in Motion group rate is available until January 31, 2019. 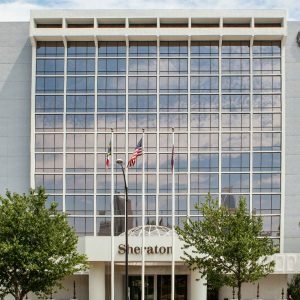 Attendees can click here to book their room online at the group rate. Call (866) 625-4988 or (704) 372-4100 and request the Plastics In Motion group rate. Where will the future of mobility take your business? The convergence of electrification, autonomous capabilities, connectivity, and ride sharing will drive OEMs and suppliers to rethink their business models and adopt new strategies to compete in tomorrow’s automotive market. This keynote presentation will explain the impact of disruptive vehicle technologies on the industry, identify how these technologies will change manufacturing strategies, and offer a general framework to address these challenges and compete in the evolving industry. – Socio-economic aspects related to more stringent environmental regulations and the development of new urban mobility models. – Technological aspects related to powertrain electrification and advanced connectivity and driving assistance technologies. – Industrial aspects that require the application of advanced manufacturing technologies in order to respond with flexibility and efficiency to an increasingly variable demand of components. These changes have a special impact on the interior of the car, where parts and components with advanced functionalities must be incorporated in order to respond to new global trends. This presentation shows how the manufacture of these components requires the development ofplastic materials and their transformation processesto meet new technical and environmental requirements and new demands on connectivity, safety and comfort on board the vehicle. Nora Beevers is the Director of Innovation for Grupo Antolin North America. Grupo Antolin is an automotive interiors supplier for instrument panels, cockpits, doors, headliners, and lighting components. The innovation team at Grupo Antolin researches new materials and processes, designs new surfaces, explores new technologies, and works with customers to align technologies for products. She is based out of Grupo Antolin’s North American headquarters in Auburn Hills, MI. Nora received her Bachelors of Plastics Engineering Technology from Ferris State University. She completed her MBA degree at Wayne State University. She has worked in the automotive industry for 19 years working on powertrain and interior components for Tier 1 suppliers. A new generation of high-heat ABSs with significantlylower emissions than previous types are reported. These ABSs meeting numerous automotive standards and requirements of VIAQ (Vehicle Interior Air Quality) are becoming the norm for European models and now available in NAFTA. Unique PC-modification and additives have enabled the ABSs to be used in many high impact applications previously dominated by PC/ABS. Dr. Tom Chu is Business & Technology Development Manager at ELIX Polymers Americas. ELIX Polymers is a major ABS manufacturer in Europe. Dr. Chu joined ELIX in 2016 to help its expansion in Americas. Before ELIX, he managed Global Application Development Department at a domestic resin manufacturer and R&D Department at a composite company. He brought in abundant knowledge in engineering plastics and composites mainly from automotive and transportation industries. Dr. Chu has a Ph.D degree from The University of Michigan, Ann Arbor. Vehicle autonomy and electrification has enabled the development of new and advanced materials/plastics, especially for automotive interior applications. These new categories of vehicles demand lightweighting, high end surface finish and functionality from the materials used in interior applications. Cpk Interior Products has developed new graphene based thermoplastic polyurethane (TPU) to address the aforementioned needs. This new material will be used for instrumentation panel and door trim applications. This paper will discuss the product development, processing aspects and performance of TPU-Graphene and compare with current materials used in automotive interiors. The work that Dr. Farrar is presenting was carried out with Murali Reddy, Ph.D., also of Cpk Interior Products. Driven by the increasing number of electronics, electronic components and sensors in modern vehicles, the demand for surface resistivity to repel dust on instrument panels and consoles has been a challenge for the automotive industry. We will discuss how inherently static dissipative polymers (IDP) differ from traditional antistat and conductive particle/fiber technology, allowing for a permanent solution for dust repellency on sensitive TPO components. These permanent antistats will enable charge mobility and control of static without controlled dissipation of charge imbalance to ensure optimal ESD safety and maintain static dissipative properties throughout the life cycle of plastic automotive interiors. Mr. Jukka Hillberg received a M.Sc. in polymer sciences at Tampere University of Technology. He has over 20 year experience in R&D and product development in the extrusion and polymer industry. His professional expertise includes polymer rheology, extrusion design, polymer research and plastics processing. He has also extensive experience in business development and technical sales. He has multiple patents and technical publications in the fields of extrusion, polymers and ESD related technology. Microban® International, Ltd. is the global leader in antimicrobial, odor control, and surface modification technologies. Our proactive systems keep products cleaner and control odors by preventing damaging microbial growth before it starts. 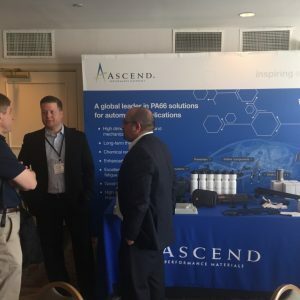 In this presentation, we’ll discuss how our technologies can enhance the performance of polymeric materials and provide tangible benefits solutions for manufacturers and peace of mind for consumers. Mai Ha is a Senior Product Development Engineer at Microban International. She has been a key engineer in customer focused projects and new product development. Her knowledge in incorporated polymeric products brings a unique skillset to Microban partners. She obtained her B.S. degree in Polymeric Material Engineering from Polytechnique University in Vietnam and has been working with polymers since 2002. In 2006, she received her M.Sc. degree from University of Oklahoma after working with emulsions and emulsion polymerization. Subsequently, she moved to the University of Houston and obtained her Ph.D. in nanocomposites and polymer blends. Since 2011, she has been working with Microban to make the world the cleaner place. The industry for the collection and harvesting of post-consumer resins (PCR) to yield specific streams of materials has expanded tremendously in the past several years. Buckeye Polymers now has several years of refining the olefinic portions of these materials to yield input feedstreams for the production of families of high impact polypropylene copolymers and TPO’s. The characterization of the physical and mechanical properties of the PCR has allowed us to employ this feedstream as the basic ingredient within these resin families compounded on our twin screw extruders. The resulting products meet the part performance requirements for use in various automotive applications ranging from functional black plastic parts to fascias and are currently used in these applications within the industry. This technical presentation will present the data of the PCR feedstream and some of the subsequent products, as well as the analytical path taken in the development of these materials as a lower cost alternative for functional black plastic parts and automotive fascias. Michael Montpetit has been a member of the Buckeye Polymers team for fifteen years. He has two patents and has authored several technical papers. Mike earned a B.S. from the University of Michigan in microbiology and chemistry in 1976, and an M.S. from Wayne State University in Materials Science and Metallurgical Engineering in 1982. He has over 35 years of experience in the polymer field in research and development, as well as applications development. Mike spent nearly 14 years at GM in the materials engineering organization and Mike pioneered the “Reprocessed Materials Initiative” leading the way to the use of reprocessed polymeric materials for vehicle applications. With the continued focus on the increased cost of energy there is an excellent opportunity to increase energy efficiency through weight reduction of injection molded components. ‘Light weighting’ of parts while maintaining, or even improving, their performance in their respective application fields, such as automotive and aerospace fuel efficiency, is now a focal point in the injection molding industry. Direct Fiber Compounding, MuCell or ProFoam are technologies that will be discussed. Trevor has worked in the Plastics Industry for 22 years in engineering design, development and management roles. He is currently the engineering manager for ARBURG, Inc, based in Rocky Hill, Connecticut, and is responsible for applications engineering and automation turnkey system executions. Trevor holds a Bachelor of Applied Science from the University of Toronto as well as a Masters of Business Administration from the University of Windsor, Ontario. The need for lightening and therefore the replacement of metals becomes an increasingly important factor even more with a view to the evolution of the car market towards hybrid and / or full electric vehicles. In this context Radicigroup Performance Plastics proposes solutions with new materials, especially based on on polyamides polymers, with specialty grades designed to overcome the most severe standards in the presence of high temperatures, high mechanical stresses, aggressive chemical environment. The introduction of hybrid and electric motors poses new challenges such as the demand for flame-retardant materials, electro-friendly grades able to guarantee the safety of electrical and electronic circuits, thermally conductive materials, etc. The presentation will show, in the case of internal combustion engines, the most important characteristics of the new materials and some examples of application of metal substitution explaining the advantages in terms of weight reduction, lower CO2 emissions, economic advantages. For hybrid and electric vehicles, some interesting solutions with special flame-retardant materials will be presented. Next to this will be illustrated the characteristics of polymers, some of which are still experimental, including the “electrical neutral” polyamides, the thermally conductive polyamides, high performance materials for the EV batteries thermal management. Erico Spini received a degree in mechanical engineering from Politecnico Di Milano in 1982. Mr. Spini began his professional career working for the Pirelli SpA Research and Development Centre in Milan, where he gained experience in the rubber field. From 1990 to 2008, he worked for important plastics manufacturers, especially in the area of polyamide resins, serving in various positions: design manager, technical assistance manager and manager of innovative research projects within the strategic marketing function. Since 2009, Mr. Spini has been director of marketing and technical assistance of the RadiciGroup Plastics Area. Starting from 2015 has been Marketing and Application Development Director Europe of RadiciGroup Performance Plastics. Starting from 2018 Mr Spini has become Global Marketing Manager of RadiciGroup Performance Plastics. Lower vehicle weight directly translates into number of consumer and environmental benefits. Plastics, especially polypropylene compounds, have enabled significant industry lightweighting over the past decades. As pure material performance improvements start reaching their limits, the next generation weight reduction is best coupled with the deployment of foaming technology. Non-visible structural carriers made in glass fiber reinforced PP deliver up to 30% weight loss, while visible foamed parts present new potential for taking pounds out of a vehicle. We performed a systematic investigation on how to best leverage foaming technology for various automotive components and present the latest update on material solutions on offer. Jakub Oliverius has been working for Borealis over 7 years in various Automotive Marketing and Business Development managerial roles in Europe and North America. Since 2016, he has been residing in the United States, initially responsible for the Borealis Automotive Compounding Expansion Project in North Carolina, while now leading the company’s local business growth as Marketing Manager based in Plymouth, Michigan. Jakub holds a Master’s degree in Business Strategy from University of Amsterdam in the Netherlands and a Marketing Management certificate. Being originally from Prague, Czech Republic, he really enjoys the cold Michigan winters as well as warm summers at the Great Lakes together with his Austrian wife! The use of Glass Fiber Reinforced PP in Automotive Components continues to increase due to their favorable strength/impact balance and lower specific cost compared to engineering thermoplastics. Traditionally higher mechanical properties were obtained for these material at the expense of melt flow rate or processability. Asahi Kasei Plastics has recently developed Thermylene® P11 family of PP-GF materials. These offer higher tensile strength at room temperature and elevated temperatures along with improved creep and fatigue resistance and high flow. This novel property balance is expected to enable OEMs and Tier suppliers to fine tune the necessary performance without worrying about any compromise. These are targeted for glass fiber reinforced PA6 and PA66 as well as Long Glass PP replacement. Plastics are now estimated to comprise anything between 100kg to 250kg of the total weight of a modern passenger car. Thus, any method of reducing the weight of individual plastic parts is worthy of investigation. 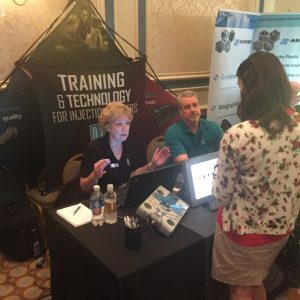 “Assisted Molding Technologies” refers to several injection molding processes which can be “bolted-on” to an injection molding machine to improve various aspects of injection molded articles and help with “Lightweighting”. The basic physics of each process will be explained and numerous applications of each process shown. The importance of computer-aided engineering to design parts and optimize tooling for each technology will be discussed and several landmark case studies presented. Raymond was educated at Burton College England and the London School of Polymer Technology. In 1995 Raymond was appointed European and Asian Sales Manager for Cinpres Limited, the developer of the Gas Assisted Molding process. Over the next decade Raymond played a pivotal rôle in developing the global market for Gas Assisted Molding before joining Gas Injection Hong Kong Co Ltd in 2006 as Sales Director. In 2014 Raymond, along with two other founding members of Cinpres Limited formed Cinpres UK Limited to continue promoting Gas Assisted Molding and RICH Technology to the Global Injection Molding industry. Chemical foaming agents are additives that are used in the molding of automotive parts. Creating a cellular structure in TPO parts allows faster cycle times, part stability and density reduction. TPO has become the dominate thermoplastic used in auto part development. It is important to understand the synergies of formula components and potential effects on physical properties of finished parts. 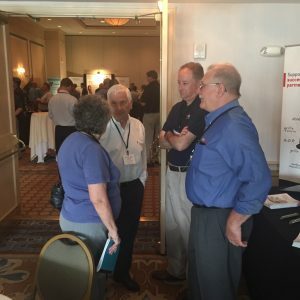 The speaker will have case studies demonstrating cost savings and foam processing tips. Mr. Herrmann held an executive position at Automotive Plastics from 1965 until 2007. He has intimate knowledge of the technical developments of thermoplastic and thermoset materials for automotive applications. He was involved in the development of interior plastic parts and systems from simple painted or metallized parts to systems and modules like front ends and cross beams and load floors as well as the development of exterior parts such as bumper systems and body parts such as fenders, hoods and tailgates. Mr. Herrmann will discuss some of his vast experience in automotive plastics and suggest some future insights. With all the innovations, new material usage, and advances in plastics, it is important for organizations to leverage future-focused strategy. In an age where new technologies emerge daily, how can leaders in the plastics industry ensure success? Learn about key actionable tools plastics organizations can leverage to plan and prepare for the future, today. This type of strategic foresight tests assumptions and challenges perspectives not simply for the next 3-7 years, but for the next 20-50 years. Sarah brings innovative and transformative thought to both non-profit organizations and for-profit businesses in industries including construction, medical & pharmaceutical, food & beverage, and consumer products. Guiding executive leaders, she delivers forward-thinking strategies founded on integrity. Sarah serves as a dynamic speaker at universities, globally recognized conferences, and industry events. Currently, Sarah is pursuing a Doctorate of Strategic Leadership from Regent University. Visit www.Skidmore-Consulting.com or email her at Sarah@Skidmore-Consulting.com. Gunaranjan Pemmaraju & Bala Ambravan (speaker), Co-founders, GadflyZone Inc. In this interactive session, the founders of GadflyZone will provide an overview of how industrial companies can use data to improve the effectiveness of their strategic decision making process. Drawing on examples from Materials manufacturers, but applicable to all industrial companies, they will show how that sector is undergoing a familiar transition – from having been product centric for over a century to providing market-facing solutions. Currently, both marketing and segmentation strategies at industrial enterprises rely on traditional methods such as customer feedback, sales calls and static market reports. However, innovative companies are mirroring technologies more prevalent in consumer space, such as the use of advanced data science and automated intelligence. This session will explain how industrial companies could pragmatically, and successfully, use these approaches including big data analysis and data mining techniques, to create a potent mix of result oriented & data-driven marketing strategies. The presenters will split time between presenting the approach and demonstrating the solution via a web-based interactive app to give a flavor of how these problems are being solved, specifically applied to light weighting applications in the automotive segment. In his career spanning 23 years, Guna held several leadership roles in @WalmartLabs, Amazon, and i2. Apart from spearheading large business initiatives, his focus has been in using data and technology to optimize decision making in the areas of finance, supply chain planning, and eCommerce. He started his career in the finance industry with Citibank, and then the Treasury of ICICI, where he developed statistical models, hedging strategies, and risk management system. Guna is an alumnus of the Indian Institute of Management, Calcutta, and his undergraduate degree is from the Indian Institute of Technology, Madras. Guna fundamentally believes that the real big leap for data is towards strategy. When not springing on this "leap," he can be found playing a few rounds of bridge in the Bangalore leagues. The beauty cover is the most visible component in the engine compartment, so its surface finish is paramount. In addition, the engine cover is required to resist high dynamic loads and to absorb the noise deriving from engine vibrations. Sound absorbing materials, as polyurethane foams, are applied under engine cover polyamide skin for solving noise and vibration problems. In a conventional multistep manufacturing process, the two parts are produced with two processes and different machines and, subsequently, they are assembled with metal washers. Sapa has developed a new One-Shot method to manufacture the engine beauty cover, where inside an injection molding machine both the molding of the component in thermoplastic material, in fiber-reinforced polyamide, and the foaming in expanded polyurethane, occur. The thermoplastic part and the sound absorbing foam are well adhered and the assembly step with metal washers is avoid. The one-shot Engine beauty cover process allows to reduce the number of production steps, the number of operators involved, the production costs, to improve the process productivity and the quality of the finished product. Mr. Molaro is presenting on work carried out with his colleagues Innocenzo Macchiarolo, Sofia Lanzillo, and Giovanni Affinita, also of Sapa S.R.L. Alfonso Molaro is an R&D engineer at SAPA SPA, a manufacturer of interior, exterior and under hood vehicle parts. He graduated from the University of Naples Federico II in Materials Engineering. He’s got a postgraduate master's degree in development, characterization and injection molding of thermoplastic techno-polymers. His current research activities concern the development of low density and high-performance thermoplastic composites, industrial process automation and continuous improvement of product quality. Explain the Laser Texturing process and features/benefits it can bring to the automotive market in interior, lighting, and under the hood appearance. Show what is currently being used in the European automotive market and explain how it can be applied in design and styling. Show how texture is done currently (chemical etching) and how the new technology can work with it as well as replace it. Illustrate new grains being used in Europe using this technology (Geometric Patterns) that is very difficult /impossible with chemical etching. Ford, Chrysler, GM, and Honda have shown great interest in this technology which provide styling and design departments numerous new opportunities. Jon Carlson is the Product Manager for GF Machining Solutions’ Advanced Manufacturing Product line and a founding member of the team to bring an apprenticeship program to GF Machining Solutions to the US. Jon received his Bachelor of Arts in Business Administration with a focus on Marketing and Finance from Augustana College in Rock Island, IL where he played baseball on the varsity team for all 4 years. 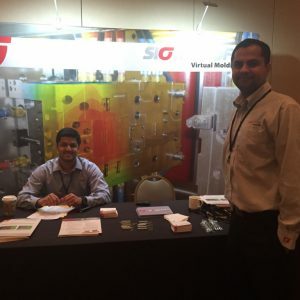 In 2014, Jon began working for GF Machining Solutions in the Marketing Department. In 2017 he took a position as the Product Manager for the Advanced Manufacturing product line which includes Laser Ablation, Additive Manufacturing, and Laser Micromachining. Jon looks forward to advancing the manufacturing industry using this great technology and developing new talent through the Apprenticeship Program of GF. We developed together with Plasmatreat a unique process that bonds metal to plastic with 47MPa. The presentation will describe the process steps needed and the way the compounds are optimized to provide better adhesion. Finally we will show applications with metal inserts that use the PST technology to have sealed inserts with no leakage. Ultrasonic Welding is a commonly used technology in the manufacturing of vehicles. The most prevalent area where ultrasonics is used is the interior components such as the individual pillars, door panels and other interior parts. Another great area that ultrasonic technology is being utilized in is fascia. With all the sensors included for safety on a bumper, we have seen an increase in the usage of ultrasonic technology here. Lastly when opening the hood there are many plastic parts such as filters, motors and other components that are welded together with ultrasonics. In our presentation, Herrmann will give an overview and an outlook on the trends and technology developments that help manufacturers meet the requirements of today and tomorrow. Paul has been an esteemed member of the Herrmann team since joining in 2016. He lends his expertise as a technical resource to the southeast region, with a strong presence in plastics assembly for the automotive market. Herrmann Ultrasonics, Inc. is a machine and system supplier for industrial ultrasonic technology. Ultrasonic welding is used whenever two plastic parts have to be put together permanently, such as the two half-shells of an electrical toothbrush, a printer cartridge or a medical infusion collector. Classic application options for the automotive industry are dashboard instruments, center consoles or cup holders. Ultrasonic welding spans many industries; seen in the sealing of packaging for salad and cheese bags, drink cartons and coffee capsules. It is also possible to laminate and emboss nonwoven materials, commonly seen in the production of baby diapers, and embossing of surgical facial masks. Industry standard spoilers for SUV segment consist of a painted PC/ABS upper piece bonded to a PC/ASA lower piece or painted PC/ABS. Nissan, Branson and INEOS Styrolution partnered in determining the feasibility of using an ASA molded-in-color lower material for ultrasonic welded spoiler application. A DOE was conducted by varying the energy input into the ultrasonic weld for different material combinations. The ASA-PC/ABS combination had equivalent bond tensile strength to that of the current system at all 3 energy inputs. Consumers continue to demand high quality surfaces both inside and outside of their vehicles. Consequently, Class-A surface is one of the carefully scrutinized quality requirements by automotive producers. Polypropylene compounds, used in ever-increasing number of applications, are key for achieving outstanding part aesthetics. Over the years, Borealis has invested into developing new material solutions and technologies to support Tiers and OEMs in fulfilling consumer wishes for durable, scratch resistant, defect-free and high-quality painted parts. We will share update on some of the latest material developments and market success stories. Roctool technologies and know-how applied to process interior and exterior parts: new sustainable solutions, reducing or removing secondary operations for cost reduction, using authentic materials for design needs and increasing functionality via surface unique texturing. Complete update about Roctool Heat and Cool technologies for plastic and composite parts. Mathieu is Roctool Chief Executive Officer. Mathieu joined Roctool in January 2004. After 10 years at Roctool Headquarters in France, he was responsible for global sales and project activities, key accounts and strategic orientations regarding the technologies market positioning. In 2013, Matt started developing the North American subsidiary for Roctool and is now based in Charlotte, NC. Matt developed a result oriented spirit which is one of today Roctool's key asset. Matt studied in France and in the USA. He is passionate about new materials and processing methods. Nick C. Sotos, iD Additives, Inc. 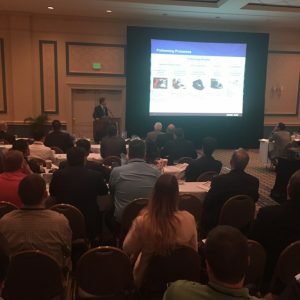 This joint presentation from iD Additives and Sumitomo (SHI) Demag focuses on increasing production efficiency of injection molded automotive parts by light weighting resin, limiting warp, reducing cooling time, and reducing the overall cycle time through the use of foaming agents in high speed machinery. The faster you can inject a part, the more foaming agent you can use, which leads to greater weight savings, less molded-in stress, and better surface quality. A case study will be presented which shows how foaming agents can be used in high speed machinery to give customers better quality parts and greater savings without sacrificing physical properties that are often a result of thinning the walls. Nick Sotos is President of iD Additives, Inc. of La Grange, IL, a manufacturer of additives for the plastics industry. He started his career in the plastics industry in 1996 as a Midwest territory salesman for I. Stern and Company, a resin broker based in NJ. In 2004, he started Carver Plastics, a resin, regrind and colorant reseller which he still operates. In 2005, he launched another new company, iD Additives, Inc., with a line of foaming agents and has since grown the company to include UV stabilizers, purging compounds and liquid color and additives. iD Additives is a multi-year member of the Inc. 5000 for America’s Fastest Growing Companies. Nick is very active in the Plastics Industry and is currently the President of the Society of Plastics Engineers (SPE) Chicago Section. Anthony Yang, Moldex 3D Northern America, Inc.
Understanding how material properties change during the molding process is critical for simulations to address big molding challenges such as warpage. Incorporating phenomena such as cooling rate effect on P-V-T and viscoelasticity behavior change from melt to solid state allows simulation to get a higher level of accuracy in warpage predictions. In this study, the geometries of both plaque and hat-section beam are investigated. A Design of Experiments (DOE) is conducted on both these geometries using which effect of conditions such as packing pressure, cooling time are studied on warpage. The warpage prediction of all the cases is performed in Moldex3D and the results are compared to the real part shape obtained from Digital Image Correlation (DIC) analysis. Mr. Yang’s presentation will cover his work with Xianjun Sun, Danielle Zeng, Lingxuan Su, and Patricia Tibbenham of Ford Motor Company, as well as his colleagues at Moldex, Alex Baker and Susan Lin. Dr. WenHsien (Anthony) Yang received his Ph.D. in Chemical Engineering from Tsinghua University in Taiwan. He is one of the founders of Moldex3D and is the current President of the Moldex3D North America office in Farmington Hills, MI. With over 20 years of experience in simulation technology and plastics engineering, Dr. Yang is a respected professional and expert within the plastics manufacturing community, leading simulation innovation with true 3D mold filling analysis. Over the past 30 years, numerous items have been transformed from metal to plastic in the auto industry. There were certain targeted applications that could not move to plastic due to factors such as: fuel resistance, tight tolerances, vibration, and mechanical strength. In the last decade, Helvoet has successfully introduced applications moving from metal to plastic in the powertrain system including demanding applications in: fuel, air management, transmission, and brake systems. This presentation will discuss the road map to these achievements, and the end result of what is now tens of millions of components. Mike Kole is President of Pinnacle Sales, an Automotive & Industrial Marketing Agency located in the Detroit, MI area. Mike has been active in the industry since the mid 1980’s, and has worked on teams focused on metal replacement most of his career. He has worked with interior trim suppliers, power train Tier 1’s, Industrial and Automotive OEM’s, and as a consultant over his career. Mike is also a Professor of Leadership at Northwood University, as well as the Principal of Kole Performance Group, a professional development organization. No matter how large or small of a molding operation, custom or captive, there is a great demand for automotive plastics processors to lower the cost of the molded parts, increase the productivity of their equipment and improve the quality of their parts, all the while maintaining healthy margins. This can be a balancing act between using the most effective technology while working within a shrinking budget. 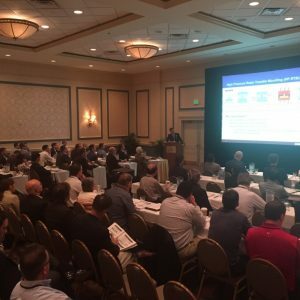 This presentation discusses the advantages of dry ice cleaning solutions in a variety of automotive applications: 1) as a replacement for solvent and/or mechanical cleaning for the removal of contaminants from mold cavities and vents while the molds are at operating temperature and still in the machine, 2) deflashing plastic molded parts, 3) removing excess film from IMD parts, and 4) the surface preparation of molded parts prior to painting or coating, replacing traditional aqueous/chemical washing/drying. While the principles discussed in this presentation are applicable to multiple plastics processes (Blow Molding, Extrusion, Thermoforming, etc. ), the focus of this presentation will be on injection molded parts being made on the various steel and aluminum mold substrates commonly used. Supporting research from several independent studies (Kettering University, Materials & Process Associates, etc.) will be presented along with industry case studies, pictures and video clips to demonstrate the various proven solutions. 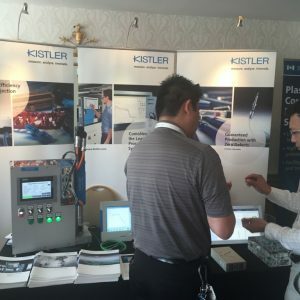 The attendee will achieve an understanding of how utilizing dry ice solutions will reduce costs, improve quality, increase productivity, extend the asset life of the mold, and improve the environmental quality and worker safety in their molding operations. They will also obtain a benchmark understanding of the operating theory and principles behind the dry ice cleaning and surface preparation process. Prepare to believe in magic! As a former plastics business owner, Steve has over 35 years of experience in injection & compression molding, extrusion, blow molding, thermoforming and rotational molding. He began his career at Milacron’s plastics machinery division, serving in manufacturing, product line management and a variety of sales/marketing roles. Steve is a published author and a frequent speaker at plastics industry events. He holds a Bachelor’s degree in Business Administration from Cedarville University and an MBA from Xavier University. Automakers and their suppliers continue to seek light weight solutions for structural automotive components while also delivering component performance requirements. This paper examines the properties of hybrid composite blends using polypropylene reinforced with both long glass fiber and cellulose fiber. These blends offer a balance of stiffness and impact strength while also incorporating a natural fiber component weight and sustainability benefit. These blends have demonstrated unanticipated benefits of lowering both cycle time and injection molding energy consumption by 25% or more. While that benefit is not thoroughly understood, the result is consistent across many different parts and molding sites. Recently, there has been an increasing interest in the use of carbon fiber reinforced plastic (CFRP), in the automotive industries, due higher strength to weight ratio compared with traditional metals. It is worth noting there is five-fold increase from the number of car models using CFRP compared to decade ago, which lends support to the assumption that carbon fiber demand by the automotive industry will rise sharply in coming years as light-weighting becomes increasingly important. CFRP market expect to grow 20% by 2020 for automotive applications. A key bottle-neck for CFRP growth is its pricing due to several expensive processing steps and materials (figure below)- including a very expensive UV coating (~ $500/lb) followed by clear coat (~ $ 5MM investment). These additional expenses make CFRP lees-affordable to automobile markets. The paper describes a novel one-stepmethod of forming stacked CFRP in which thermoplastic polyurethane films (TPU), especially Estane®paint protection films (PPF) applied and/or impregnated to eliminate the use of UV coatings & clear coatings to impart properties such as weathering, scratch, abrasion, improve esthetics, water-proof, and corrosion resistance. Another method also includes use of colored TPU films to eliminate in-line defects when using uni-directional carbon composite. This novel method eliminated extra processing steps (putty and sand-paper). Several trials have been completed and auto OEMs viewed the invention as ‘disruptive’ and predicting an impact on the CFRP market growth. Dr. Sat Nistala is Technical Service Manager for Lubrizol Engineered Polymers, based at the headquarters in Brecksville, Ohio. Prior to joining Lubrizol in 2011, he held technical leadership roles with Baker Petrolite (Baker Hughes) Bakaert Specialty Films (now Saint Gobain), and Avery Dennison. Sat holds a Ph.D. in Polymer Science followed by Postdoc work at University of Ottawa, Canada and Stanford Research International, Menlo Park. Sat was also awarded an International Science and Technology fellowship to work at National Institute of Material Science, Tsukuba, Japan. Dr. Nistala holds three patents, over 25 scientific publications. High cost pressure within the automotive industry forces automobile manufacturers as well as their suppliers to lower production costs at both ends. However, at the same time vehicle weights are increasing due to electrification and the ever-growing comfort. To compensate the addressed, lightweight parts with a high degree of functional integration are needed and to be produced in short cycle times. This paper will present several innovative injection molding applications for the serial production of endless fiber reinforced thermoplastic parts with KraussMaffei FiberForm technology. It’ll also present the automation and heating process of the organo sheets, which is being behind it, and important to reach cycle times under 60s. The individual production steps will be presented to the audience in detail to explain the technology, which leads to an economic advantage compared to conventional composites manufacturing processes. Andreas started his career with AMK GmbH & Co. KG back in 1998. After studying mechanical engineering, he became an R&D engineer for servomotors and electro-mechanical servo actuators within the company. In 2011, Andreas joined the Krauss Maffei headquarters in Munich Germany where he was R&D engineer for all electric injection molding machines for 6 years. In 2017 he relocated to the Krauss Maffei Corporation in Florence, Kentucky where he is the Regional Sales Manager for the South East. Andreas brings with him a strong engineering background building on the latest in current & relevant technologies in plastics injection machinery & automation. Brian Kleinheinz is the Technical Service Manager for Thermosets at BYK USA. In this role, he assists composite manufacturers with BYK additives that improve the performance and processing of epoxies, vinyl esters, unsaturated polyesters and polyurethanes. Previously, he worked at Polynt Composites, developing vinyl ester and unsaturated polyester formulations for the transportation, marine, energy and construction composite markets. Brian received a BS in Chemical Engineering from the University of Wisconsin-Madison and has spent nearly 15 years in the composites industry. It is desirable to use polymer composites to replace metal components for weight saving purpose in some automotive, aerospace, sport and building applications. Although this effort has been successful in many engineering components, there is a challenge to replace those parts which require high strength, stiffness and toughness in particular components. The current state-of-art technology of fibre and filler reinforced composites and nanocomposites has failed to achieve this, often enhancing one or two properties with sacrificing other properties. This presentation will introduce a new generation polymer composite which can achieve very high strength and stiffness without sacrificing toughness of the material. Professor Gao will be presenting on his work with Isaiah Fasanya and Carl Brown, also of the School of Science and Technology, Nottingham Trent University. Large tow carbon fibers are enabling carbon SMC products to be adopted by the automotive industry for a reasonable cost. The challenge is to determine an efficient way to process the large tows during compounding that enables complete realization of the mechanical properties. The Fraunhofer Project Centre together with Dieffenbacher have developed such a processing system and integrated it into the compounding step of SMC production. It is now possible to achieve significant improvement in mechanical properties compared to the Carbon-SMC products available in the market with additional capabilities to produce hybrid SMC. Zoltek 50K tow fibers and Polynt Vinylester resin was used for this study. Up to 40% by volume of fiber content was achieved. Unlike most Carbon-SMC in the market, the in-house compounded material had very good flow and filled parts were achieved with 25% mold coverage. Overall, the material shows great potential in terms of high performance SMC applications for the automotive industry. Mr. Arun Duraisamy joined the Fraunhofer Project Centre in September 2017. He is in charge of sheet moulding compound at FPC. He completed his Masters in mechanical engineering from McGill University, where he worked on natural fiber pre-preg and acoustic testing. before coming to McGill, he worked as a research assistant at the Indian Institute of Science, India, in the aerospace engineering department, where he work on vacuum assisted resin transfer moulding and autoclave processing. Bala's entire career of 23 years has been with the chemicals and plastics industry, at GE Plastics and SABIC, in marketing, product management, and R&D leadership roles. He lead the development, growth, and diversification strategies of specialty products in multiple applications. Being a big believe in direct value creation, Bala's approach to growth blends marketing, products life cycle management, and pricing strategies with disciplined investment. Bala is Purdue University alumnus with a PhD in chemical engineering, and a Masters in applied mathematics, and his undergraduate degree is from the Indian Institute of Technology, Madras. Bala fundamentally believes that next revolution is the use of data sciences in industrial products. Among these "industrious" efforts, Bala tries to be outdoors in the greater Chicago park trails. 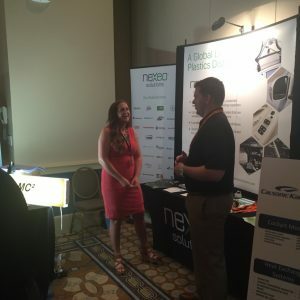 Sponsors of Plastics in Motion receive many benefits, including two admissions to the congress, a tabletop at the exhibit, as well as their company logo displayed on the website and on screen during conference breaks. 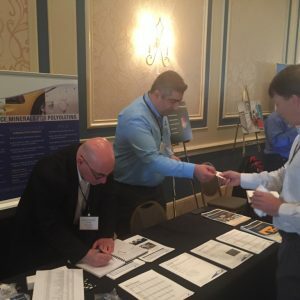 If you are interested in sponsoring Plastics In Motion 2019, please click here or contact us. 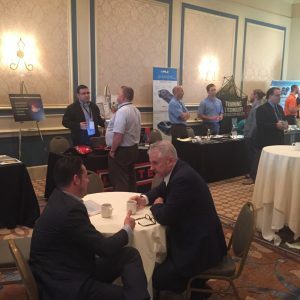 Plastics In Motion conferences include time to network with peers and our sponsors as well as informative educational sessions. 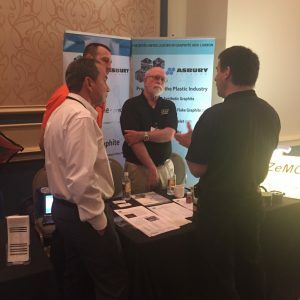 UNIQUE TOOL & GAUGE, INC.
Amos Golovoy Plastics Seminars/conferences are the best in the industry. He brings excellent speakers whose topics are informative and current. I would highly recommend him. I have attended several conferences organized by Amos Golovoy and also given technical presentations. Amos brings very informative and current topics with very knowledgeable speakers. I would highly recommend his conferences to attend. 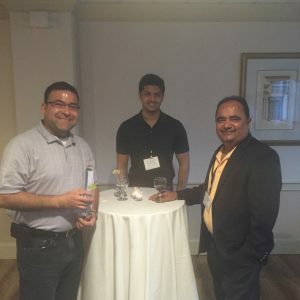 It is also great place for networking. You will find very few focus conferences like this. Amos Golovoy does a wonderful job organizing our conferences, and the plastics industry is lucky to have him! Thank you for all you do to keep plastics manufacturing moving forward. It is people like you that have helped us maintain substantial growth and we appreciate your efforts! Garrett MacKenzie, President, Processor Training Team. Amos Golovoy’s conferences are consistently well-organized and well-attended. The speakers are esteemed professionals who represent a diversity of companies, positions, and nationalities, ensuring that the content presented is varied, interesting, and current. 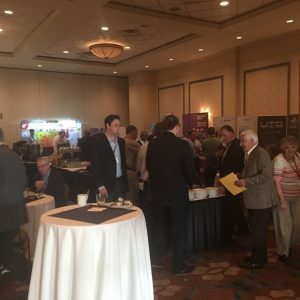 The conferences are scheduled to provide time for socializing and networking, which adds a great deal of value to attending anything organized by ECM. I have had the honor of working with Amos for the past five years – participating in his annual conference as a guest presenter. The events are always professionally organized and executed, He has created an event that is both well known and well respected in our industry. John Berg, Director of Marketing, MSG Mfg. 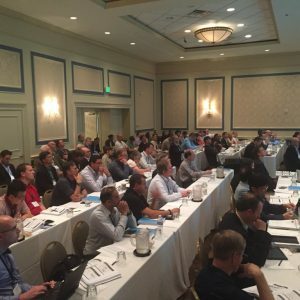 Amos organizes the Molding Conference and my company Empire Precision Plastics was fortunate enough to present in them two occasions. These conferences are great and well organized. He brings in excellent speakers whose topics are both informative and current. I would highly recommend him. Amos does an excellent job organizing conferences. The conferences are very professional with focused presentations.